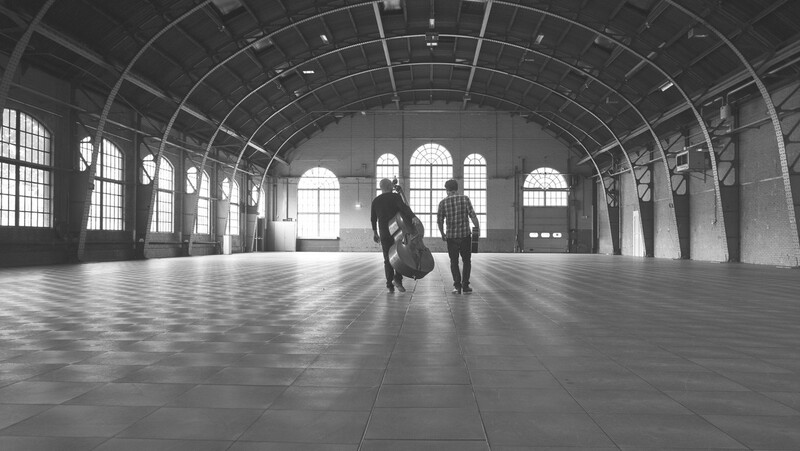 A Traveller’s Tale: out of love for the acoustic sound of guitar and double bass, Aron Raams and Eric van der Westen started to work as a duo in 2012. Inspired by the blues, country & rock of the 70’s they started an ongoing proces of writing original material. In 2014 they invited trumpeter Angelo Verploegen to join as a special guest for the new album. When they started, all they wanted to do was make beautiful, honest and sincere music. The trio’s open and melancholy acoustic sound brings the best of blues, folk, country, rock and jazz together. They write all their original material together, and, whenever required, add material to special arrangements of covers they want to play while always on the lookout for new things and ways of telling their musical story. Considering where they come from and where they’re heading it’s not hard to imagine where the group’s name comes from. Like life, music is a travelling experience that has impact on every new step you take. That principle is the most common denominator for the trio’s music. The trio takes you on a musical journey that covers many different images and emotions. A Traveller’s Tale tells a story that relates to all of us. It’s happy and sad, groovy and lazy, good and bad, winning and losing etc. ; in a unique sincere musical way. The second album “J.J.“reveals the story of the life of Jean Jacques; a New Orleans born descendant of French and Irish settlers. Born in the beginning of the 20th century, the album tells numerous short stories that give an insight in the way J.J. lived his life. The core of A Traveller’s Tale is the duo of Aron and Eric and added instruments help to change the musical dimensions. The lyrical qualities of all players are featured on the new album that was released on May 28 2016. Singer Kim Hoorweg appears as a guest to sing two songs: “On The Road Again” and “The Traveller”. Check the Facebook page for all current activities.